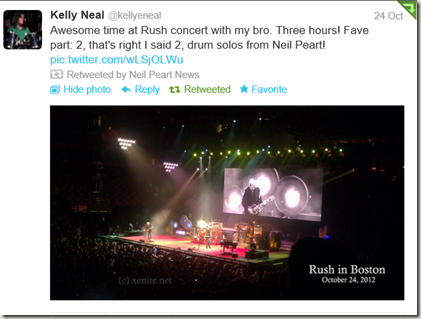 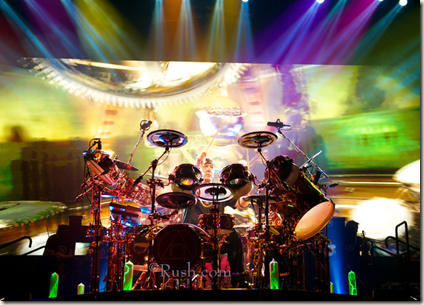 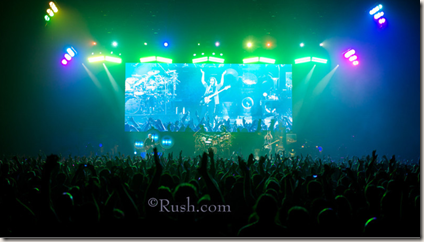 Rush completed the second leg of their Clockwork Angels tour after 13 shows. 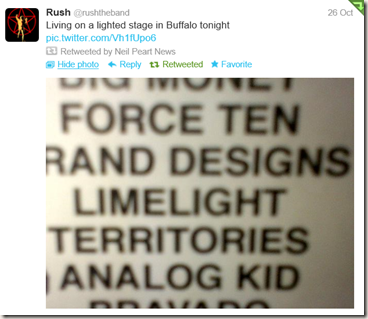 The last show of the leg was in Tampa, FL. 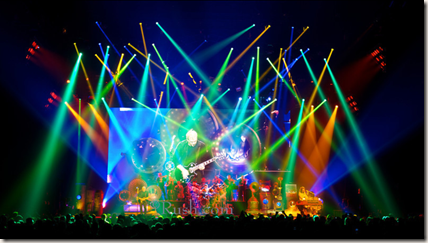 They'll pick up the tour again in Seattle, WA, on November 13 -- which means I'll finally get to see a show! 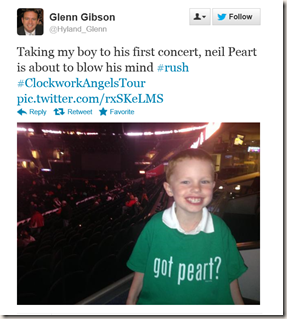 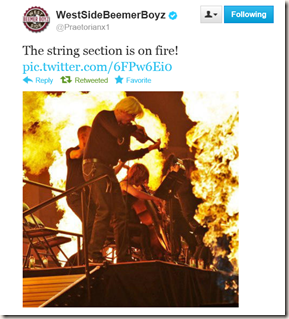 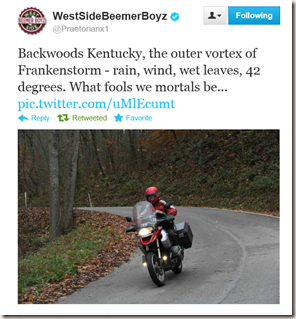 There are l0 more shows left in the 2012 Clockwork Angels tour. 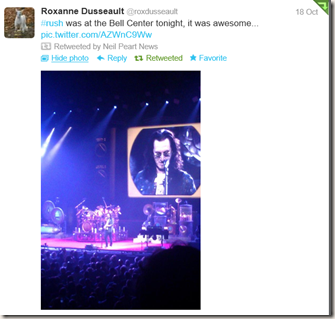 I've also really enjoyed all the fan photos and updates on Twitter. 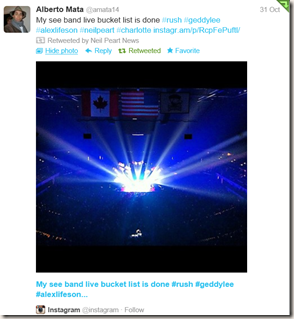 I captured what this looked like for Toronto in this update. 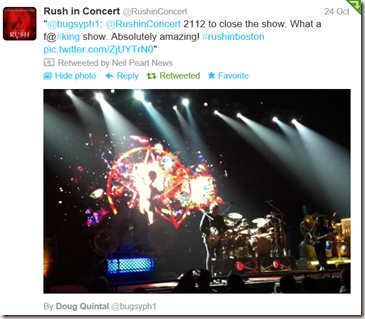 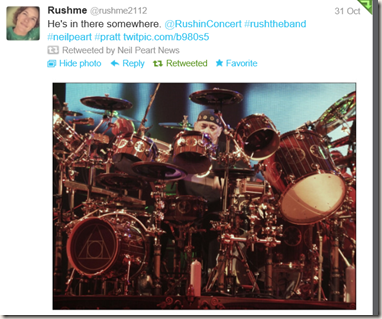 @rushinconcert has been tweeting and retweeting a lot of great photos. 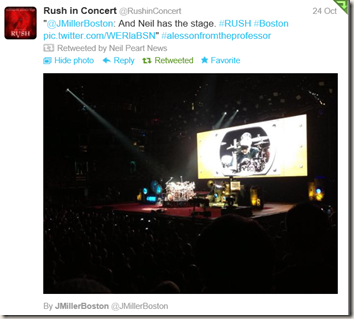 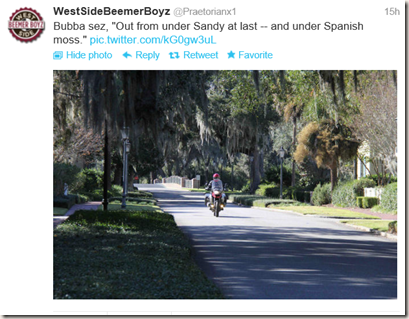 Thanks to Michael and all the folks on Twitter for posting the updates and photos.